Listeria monocytogenes (L. monocytogenes) is a facultative, Gram-positive, food-borne bacterium, which causes serious infections. Although it is known that lipids play important roles in the survival of Listeria, the detailed structures of these lipids have not been established. 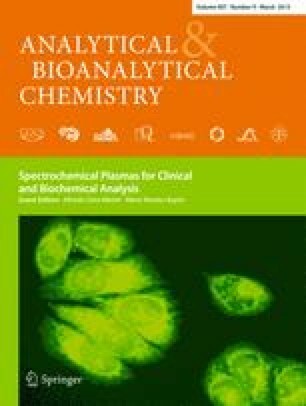 In this contribution, we described linear ion-trap multiple-stage mass spectrometric approaches with high-resolution mass spectrometry toward complete structural analysis including the identities of the fatty acid substituents and their position on the glycerol backbone of the polar lipids, mainly phosphatidylglycerol, cardiolipin (CL), and lysyl-CL from L. monocytogenes. The location of the methyl side group along the fatty acid chain in each lipid family was characterized by a charge-switch strategy. This is achieved by first alkaline hydrolysis to release the fatty acid substituents, followed by tandem mass spectrometry on their N-(4-aminomethylphenyl) pyridinium (AMPP) derivatives as the M+ ions. Several findings in this study are unique: (1) we confirm the presence of a plasmalogen PG family that has not been previous reported; (2) an ion arising from a rare internal loss of lysylglycerol residue was observed in the MS2 spectrum of lysyl-CL, permitting its distinction from other CL subfamilies. The online version of this article (doi: 10.1007/s00216-015-8480-1) contains supplementary material, which is available to authorized users. This research was supported by US Public Health Service Grants P41-GM103422, P60-DK-20579, P30-DK56341 (Washington University Mass spectrometry Resource) 5R01AI063428-09 and 5T32AR007530-30 (Harvard Medical School) and NIH grant 1R21HL120760-01.